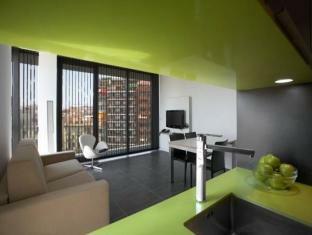 ﻿ Cosmo Apartments Sants Barcelona. JIMAT di Agoda.com! Ada soalan mengenai Cosmo Apartments Sants? Terletak di Sants-Montjuic, Cosmo Apartments Sants merupakan tempat menarik untuk memulakan pengalaman di Barcelona dan kawasan sekitarnya. Dari sini, tetamu boleh menikmati akses mudah kepada semua yang bandar meriah ini boleh tawarkan. Juga terletak berdekatan adalah Esencia Natural, Mercat de Sants, Konsulat Jeneral Kerajaan Maghribi. Ambil kesempatan daripada pelbagai perkhidmatan dan kemudahan yang tiada tandingan di hotel Barcelona ini. Untuk menamakan beberapa kemudahan di hotel ini, terdapat Wi-Fi percuma semua bilik, meja depan 24 jam, fasiliti tetamu kurang upaya, daftar masuk/daftar keluar ekspres, simpanan bagasi. Cosmo Apartments Sants mengandungi 31 bilik yang dihias indah dan menawarkan televisyen skrin rata, internet wayarles, kolam renang peribadi, internet wayarles (percuma), bilik larangan merokok. Di samping itu, pihak hotel menawarkan aktiviti rekreasi untuk memastikan anda mempunyai perkara untuk dilakukan sepanjang penginapan anda. 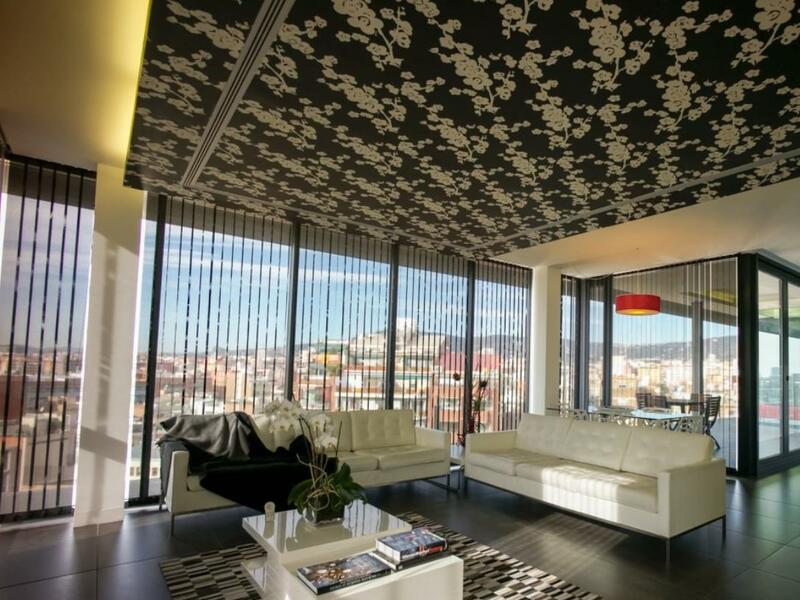 Cosmo Apartments Sants adalah destinasi sehenti anda bagi penginapan hotel berkualiti di Barcelona. Tempat letak kenderaan disediakan dengan caj tambahan. Sila hubungi pihak hotel untuk maklumat lanjut. Harap maklum terdapat deposit berjumlah EUR 50 untuk pembersihan dan penyelenggaraan. Deposit akan dipulangkan jika tiada kerosakan pada dapur dan pangsapuri. 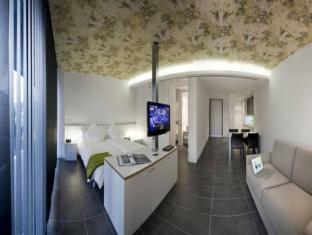 Rehat Hotel & Apartments. : cukai bandar sebanyak EUR 0.65 + VAT seorang, semalam dalam Barcelona (EUR 0.45 + VAT di Catalonia). Ini adalah caj tambahan untuk tetamu lebih 16 tahun dan NOT TERMASUK dalam harga bilik. Worked out at less than £25, or around 30 Euro a night per person, when we walked in we thought there must be something wrong with the place for that value, but absolutely nothing was. 4 star for location as ideally would have been closer to the beach, but its 2 minutes from one of the biggest train stations and that was very helpful. Food nearby was also a lot cheaper than the tourist areas; some tapas was available for 2 euro a dish, whereas on the beach it was up to 8-10 euro a dish. the apartment is just outside of the station there are plenty of restaurants to choose and some of them are really good as they are apartments, the room are much more spacious than normal hotel rooms. 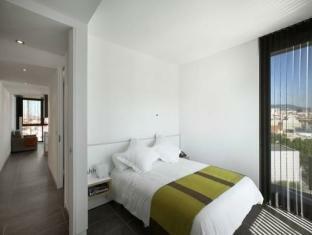 Location is very near to train station - Sebastian Sants on Renfe and 2 lines of metro. Staff was polite except for a miscommunication. There were 4 of us and there was only 1 toothbrush. We told the reception before we left the apartment and was told they would be replenished. But it was not done. When we called, we were told to get it ourselves at the reception. Also, the floor was wet from the showers and we requested for a dry bathroom towel. But was informed only one was allowed!!!! Hence for me and my friends, location 10 but service 7. We had a lovely time at this apartment the space was great but there was so much to see and do that we did not get back until the early hours of the morning and had to leave for our flight at around 6-30 am so did not get the chance to use the apartment much! but was a very trendy place it must have looked amazing when first built but the interior of corridors and rooms are in need of painting now looking tired and in need of a freshen up for the price i paid it was quiet expensive i think but you are paying for being next to the train station. we would stay again and make more use of it to get my moneys worth lol! Great stay! Room very clean easy to travel by train to all attractions. Parking under hotel hard to find. Make sure to get directions prior to checking in as there are no where to park in front of the building. Our daughter got stuck in the elevator going up from garage. Seems to be a common problem as staff did not seem to worried. After being stuck for 10-15 min they managed to get the lift back from position between floor -3 and -2. The apartment was very hot and a/c in living room not cooling. Unable to open balcony door as blinds were broken and stuck in closed position. Not as tidy as seen on pictures on line. Will not recommend this apartments. Proximity to train station was the bonus, if one has early or late train to take, the apartment is ideal. I will not consider the apartment for longer stays of more than 3 nights. It would be good if the apartment provided bedroom slippers and boxed tissue. The duplex may not be ideal for families with little kids or seniors as the staircase is a bit dangerous to walk up and down. The cheerful lady at the reception was very helpful but one of the two guys was a bit grumpy. Before I review the apartments, a word of warning. At no point during my booking with Agoda was I told I had to take my passport with me. My family had travelled from Salou for one night to stay after watching a match at the Nou Camp. The receptionist would not allow me to check in without a passport, which was in my hotel safe in Salou. He phoned oir Salou hotel who confirmed our identify bit still wouldnt allow us to check in (so not sure why he rang them!). Panic!! After 20 minutes I found a photo of it on an old email on my phone. Surely Agoda should have informed me that the passport would be required. Very embarrassing and stressful. The apartment was very large and well equipped for our stay, though we weren't in the room long enough make the most of it. The bathroom door handle was loose meaning you got locked insidewhen you shut the door, so we just left it ajar. 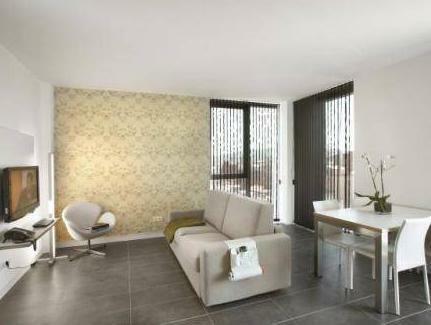 Very nice units and quite near to transport links including major train station. This hotel/apt gives you the basics but does that extremely well. No hotel extras like room cleaning or snacks but great value and spotless clean and staff nice. Also, bed very comfortable! Extended my stay an additional night and staff was very accommodating allowing me to keep the same room. 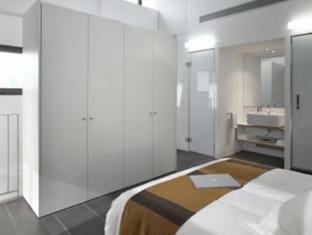 Very comfortable, clean apartment with a lovely kitchenette. Spacious & well laid out apartment. Located just across train station & easy access to metro and all attractions. I recommend this apartment for the family . This great apartment building is opposit the Sants station; great location for visiting the Barcelona hot spots and getting a good feel of the Catalan culture. We loved it! Nice loft with a very clean and functional room. Walking distance to train station. Staffs are very nice.